If you’re considering the choice between Sucuri vs WordFence, you already know that ensuring the best security for your WordPress website is one of your top priorities. You MUST use a dedicated security plugin to do that. There are too many WordPress hacking attempts going on. But the problem arises when you want to choose a good WordPress security plugin. There are so many website security plugins available with so many features and options that you become very confused about which one to choose. If that is your situation right now, you have come to the right place. In today’s post, we will compare two of the most popular website security plugins for WordPress – Sucuri Security and Wordfence Security. 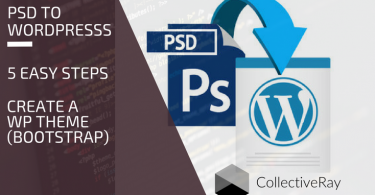 We will compare how these two WordPress plugins work and what features they offer, so that you can decide with all of the information in hand. And we’ll help you decide which one is worth your money! By the end of this post, you will know which WP security plugin you should choose for your website. So we’re going to pitch two of the most popular security plugins around – Sucuri vs WordFence. Sounds good? Let’s get started with Sucuri. The owners of this web design blog have used both, this is a true review from our perspective. Now that we’ve seen a quick summary, let’s dig deeper. We’ll get started with Sucuri first. When it comes to website security, Sucuri is one of our favourite tool, one of the most trusted names out there – this company really needs no introduction when it comes to security. They offer a robust plugin to keep your WordPress site and server secure. You will need a free API key to make full use of the plugin. One of the measures of success of this company is it’s phenomenal growth. After a number of years in the market, the company GoDaddy actually fully-acquired Sucuri in May of 2017, because they felt it made sense to offer this service as part of their own portfolio. When a giant like this acquires your company, it definitely means that you’re doing something right. It is possible to generate the key without leaving your website. 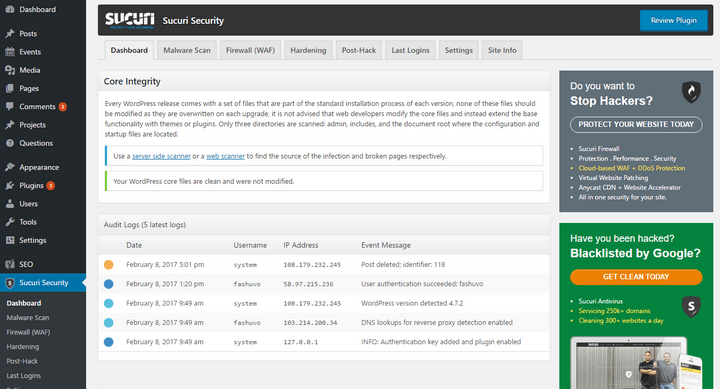 Sucuri Security’s dashboard keeps you informed about the integrity of your core files. This is because if a WordPress file has been compromised, it will have a different size and structure than the original file. Any changes might mean the site has been hacked. You will also find a log of the security audits conducted by the plugin. 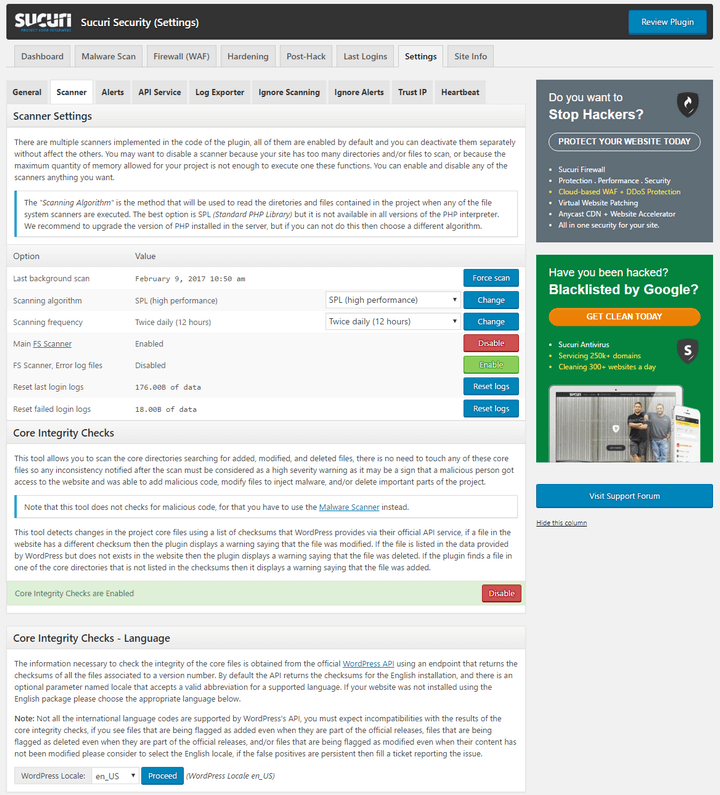 The plugin comes with a built-in scanner to find any common malware which might have infiltrated your site, any website errors, any outdated themes, plugins or tool and whether your site has been blacklisted on any services which flag sites which are identified as hacked and distributing malware, and whether your server is exhibiting any other vulnerabilities. Speaking of outdated themes, and themes in general, stay away from themes downloaded from dodgy websites (they are typically rife with malware – free is not really free after all). It’s best to go for established players in the industry. For great WordPress theme suggestions, you may want to look at our Divi theme review and our Avada theme review, or our comparison of both of them. For those who are not sure whether they prefer any of these too, we’ve also got other options to consider here. After you run the initial scan, the results will be available under Sucuri Security > Malware Scan and will be updated every 20 minutes. The results are divided into several categories like Remote Scanner Results, Website Details, iFrames/Links/Scripts, code injection, Blacklist Status, and Modified Files. Sucuri security plugin also comes with an integrated web application firewall to prevent unexpected intrusion into your website. You have to be a CloudProxy customer to use the firewall. WordPress security hardening is a very useful feature of the Sucuri plugin. This feature allows you to check the current status of various safety aspects and harden any current weak points. Each of these website security aspects is tested for any potential security lapses and you will be prompted to fix any potential vulnerabilities your website might have. Sucuri Security also comes with the whole suite of Post-Hack options to clean an infected website. This can prove to be very useful to recover a hacked website during the early stages of a hacking incident your site might have suffered. WordPress uses a combination of security keys to encrypt the data saved in browser cookies. Since this is a potential security issue which can result in hacking attempts, Sucuri provides an easy way to replace all these security keys. This will invalidate all the existing sessions and force all users to log in again. Alternatively, you can choose to reset the password of any user, again a very important step if you think some users have weak passwords. There is also a separate section to reset the existing plugins and perform the available updates. There is also a separate section to reset all existing plugins and perform the available updates. Once again, WordPress plugins are a potential source of hacking attacks. By resetting the plugin and install the latest update, you eliminate the potential source of hacks. Brute-forcing is another method which is used by hackers to get into WordPress sites. The idea is that an automated program will keep trying login details and different passwords until the password is guessed. Since a lot of users use weak and easy to guess passwords, this is a potential source of hacks. The Last Logins section will display the latest login activities on your website. You can check out the username, IP address, hostname, date/time for each of these activities. There are separate tabs for all users, admins, logged in users, failed logins, and blocked users. The Last Logins section will display the latest login activities on your website. You can check out the username, IP address, hostname, date/time for each of these activities. There are separate tabs for all users, admins, logged in users, failed logins, and blocked users. By checking and verifying that the Last Login seems to be from legitimate users, you can ensure that your site is not being accessed maliciously by another user. All the plugin configuration options are located in the Settings section. The section is divided into several areas. In the General area, you will find the plugin API key, along with options to enable failed login password collector, user comment monitor, change date & time, and a button to reset the settings. The section is divided into several different areas each with its own specific focus. In the General area, you will find the plugin API key, along with options to enable failed login password collector, user comment monitor, change date & time, and a button to reset the settings. In the General area, you will find the plugin API key, along with options to enable failed login password collector, user comment monitor, change date & time, and a button to reset the settings. The Scanner area provides detailed information about the time of the last scan, the scanning frequency, and the status of the core integrity checks. You will also find options to perform malware scan and clear the scanner cache. In the Alerts section, you will find the option to define the recipient of the alert emails. There are separate options to define the subject of the alert email, maximum number of alerts per hour, and which events should trigger an alert email. Sucuri Security allows you to ignore the scan and alert for specific situations. For instance, you can ignore specific files and/or directories from the scan. Similarly, it is possible to ignore the alerts from specific post types, especially the ones created by third-party plugins. Now that you’ve seen all of the capabilities of Sucuri, it’s time to have a direct look at Sucuri. Click below to visit the Sucuri website. Following our complete look at our first security plugin Sucuri, we now compare how Wordfence vs Sucuri fares. 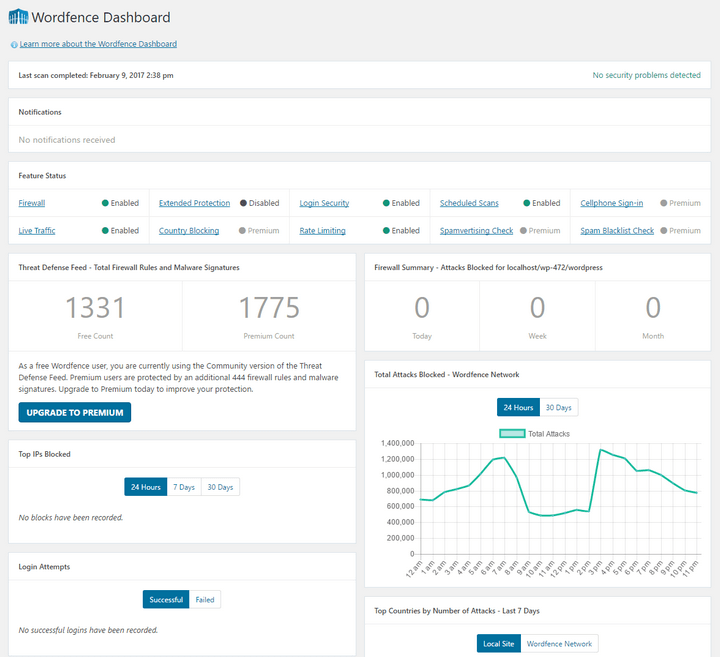 The Wordfence dashboard provides a detailed overview of the current security status of your website. You will find full information about the last scan, any current notifications, along with the enabled and disabled features of Wordfence. The statistics are a clear indication of the importance and need of a WP security plugin. Can you imagine the threat your website would suffer in all of those attacks were not being protected by some great WP security? What a serious risk for all of the content stored in your website if these hackers got their dirty paws on your website. There are separate sections for displaying the total blocked attacks, blocked IP addresses, the number of failed and successful login attempts, etc. 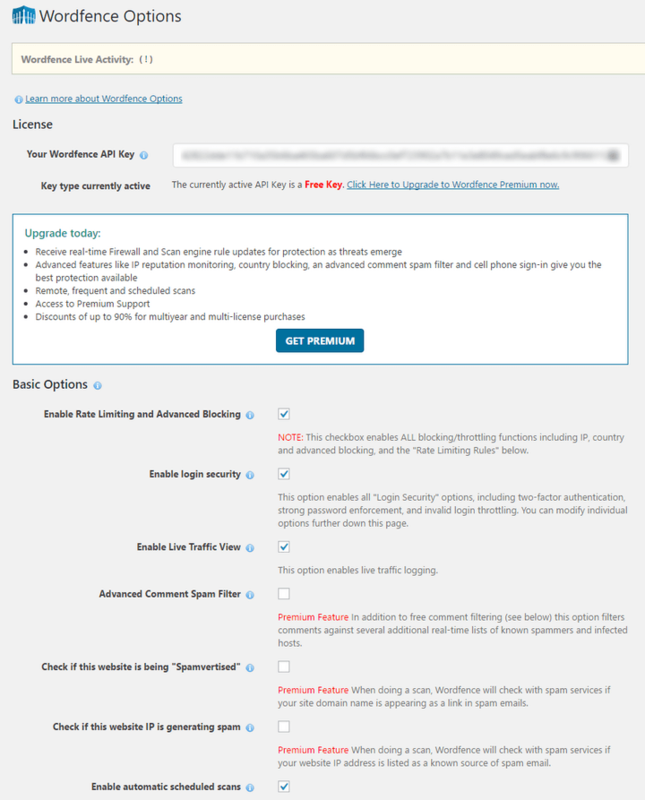 The free WordPress version of Wordfence comes with basic scanning features. You won’t receive any real-time updates about the latest security threats unfortunately, which means you’ll be hoping your site does not get attacked by the latest zero-day vulnerabilities. Apart from this, there’s plenty of protections offered with the free version of Wordfence. and limit the number of issues included in the scan result email. It is also possible to check the core WordPress, themes, and plugins files against the repository versions. There is a built-in firewall to prevent any abnormal activity on your website – such as probing for XMLRPC and any malicious attempts to login via the API or otherwise. It is possible to run the application firewall in a learning mode to familiarize the system with the regular user activities and thus prevent locking out a legitimate user. You can also choose to enable the firewall on schedule. Wordfence comes with several options to help you prevent brute force attacks. You can choose to enforce strong passwords, limit the number of login failures and forgot password attempts before locking a user, set the duration for tracking the login attempts, prevent registering the ‘admin’ username, block people trying to log in with specific usernames, etc. 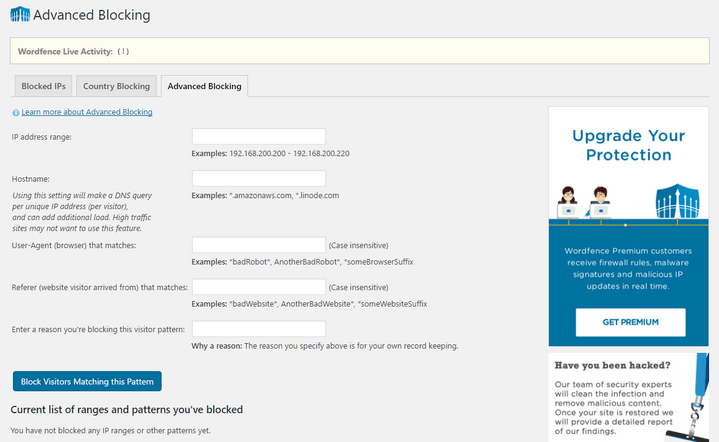 It is also possible to block fake Google crawlers and allow unlimited access to verified crawlers. This pretty makes it impossible for brute force attacks to be successful. The free version of Wordfence allows you to block IP addresses, while the premium version allows you to block full countries and geographies besides just IPs. It is possible to block a particular IP address, a range of IP addresses, host name, user agent, referrer, etc. There is a live traffic feature which shows a real-time update about the current visitors at your website. As there are separate colors for different types of traffic, you can quickly identify which type of visitor it is. The plugin also allows you to sort the traffic by using various filters like human, crawler, registered user, blocked, locked, etc. You can configure the plugin settings from the Wordfence > Options page. The basic options section allows you to enable advanced blocking, login security, live traffic view, and an advanced comment spam filter for your website. It is also possible to enable automatic scans and auto-update of the plugin. There is a separate field to define the email address which will receive any alert messages which make sure you don’t miss any critical problems with your site. You can define which emails you want to receive from the ‘Alerts’ section. Available options include receive emails for the plugin updates, plugin deactivated, warnings, critical problems, new IP address blocked, new locked user, etc. It is, of course, possible to define the maximum number of alerts to receive per hour. You can enable an email summary to get a summarized version of the plugin activities for the day, week, or month. Other notable admin options include whitelisting IP addresses which bypass all the rules, whitelisting 404 URL’s, hide the WordPress version, filter comments, etc. There are separate options to import or export plugin settings to or from other websites. Why not give Wordfence security a try now? You’ve got all to gain, nothing to lose! Which Security Plugin should You Choose? Choosing the best security plugin between Sucuri vs Wordfence relies heavily on your level of expertise and requirements. On top of that, since we are comparing Wordfence Security and Sucuri Security, the two most popular security plugins for WordPress, both of them will provide you with an excellent level of security. You won’t be let down by either of these two plugins in reality – it’s mostly a matter of which plugins seems to appeal most to you. Both of these companies are also large, reputable companies, who offer great support in case something goes belly up, so you can rest assured of that too. You might also want to have a bit of a look at the pricing of each of these plugins below. We do believe that both Sucuri and Wordfence comes with excellent value. After all, is there a price you would put on the loss of reputation and business which comes with suffering a hacking attack? But let’s give you a bit of a compare and contrast of WordFence vs Sucuri, in terms of what could be defined as what we liked and what we didn’t like about these two WP security plugins. Sucuri comes with a better user interface with simpler options to strengthen the overall security. You can harden the security by enabling various features. Integrity checker for the core files is a notable essential feature. In most cases, hackers and potential abusers tend to make changes to a core file and create a backdoor. Sucuri helps you protect the site from these incidents by checking the files against a secure remote installation. The post-hack options are another nice touch. These can help you save the website whenever you detect any suspicious activity on your website. On the other hand, Wordfence comes with its own suite of options. The dashboard offers more information and provides an overview of the whole website at a glance. It’s a bummer that the scanner doesn’t cover the latest security threats. The brute force preventing feature will keep the intruders away, while the live traffic will show a handy list of the current visitors. The web application firewall is a great touch to enhance your website, but you have to be careful with it. Inexperienced users might lock themselves and lose access to the website. Since we tend to offer even other alternatives to our visitors, just in case you’re still not 100% convinced, another WordPress security plugin we use and love is iThemes security. If you are considering other options, one of the other providers to make your website resilient is Sitelock. This is another cloud-based service which protects your domains without taking the load on the actual site itself. If you’d like to know more, visit our Sucuri vs Sitelock article to see all of the details of this comparison. Conclusion: Sucuri vs Wordfence, which should you choose? Now that we have compared all the features and options of these plugins, we are going to make our own choice. 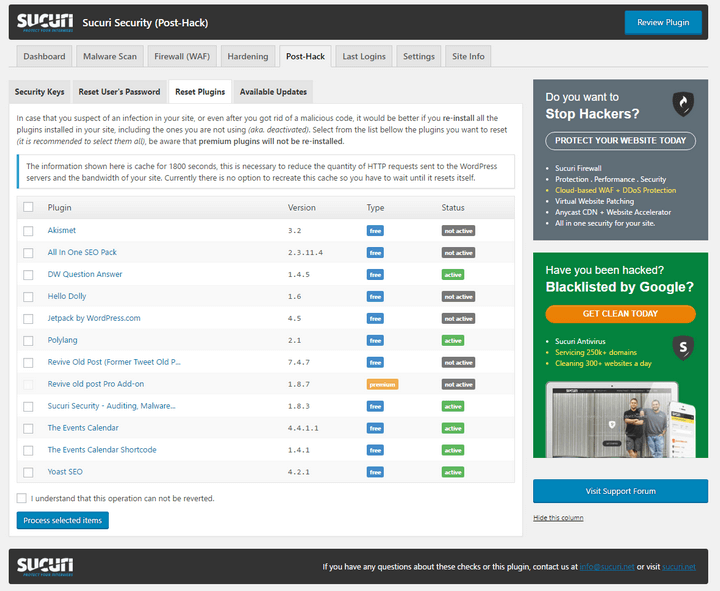 If we had to buy a security plugin for WordPress, we would opt for and recommend Sucuri Security as our choice, in fact, this is the plugin we as a team would recommend and install on most of our sites and we have never suffered a hacking incident. Along with being a renowned web security brand, the support offered, add to this, the simple user interface which makes it a lot easier to use the plugin and well what can we say, we can’t find much (or anything) wrong with this service! We know our website and content will be protected. Our privacy won’t risk being compromised at all. Still not convinced? Have a look at what Syed Balkhi, a huge WordPress influencer and the brains behind WPBeginner.com (one of the largest WP related sites) says about switching to Sucuri. 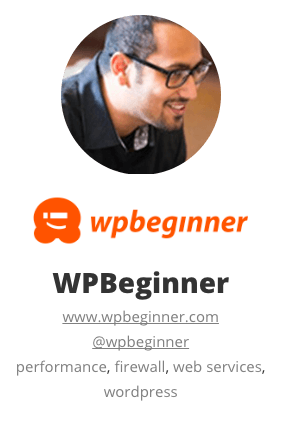 WPBeginner currently serves more than 300,000 page views daily (on average) and a monthly total exceeding 9 million page views! “Even with the best security experts, there is a limit to the monitoring they do. With Sucuri, I have peace of mind that the website is being monitored 24/7 and we will be alerted if something goes wrong. Our review of these two plugins would not be complete if we did not provide a Wordfence testimonial. 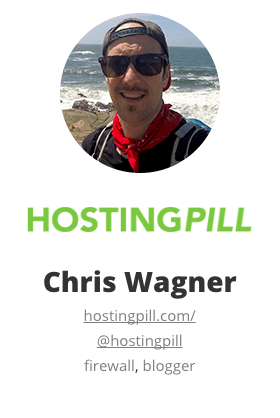 Nick writes on ElegantThemes in their own Wordfence review. So, what do you think about these two security plugins for WordPress? And do you agree with our choice of Sucuri Security as the preferred choice among these two? Or do you have another opinion when it comes to Sucuri vs Wordfence. Let us know in the comments. Editor’s note: As has been rightly pointed out in the comments below, the Sucuri link is an affiliate link while the WordFence link isn’t. There is a very simple reason for this, Sucuri has an affiliate program while WordFence doesn’t. As you can rightly see, we did not give any preference to WordFence vs Sucuri in terms of CTA’s exposure, or depth of research. We simply feel that Sucuri is the better security service between the two. The affiliate link does not cloud our judgment at all. We have always been honest about linking to affiliates (that is how CollectiveRay partially pays its expensive bills – we don’t break even, this is a labour of love/passion) and we won’t compromise our integrity by linking out or recommending services which we think aren’t top-notch, just for the payout. There’s simply too much at stake, for you AND for us!